Given their form MI are clear favourites for tomorrow's clash against RCB. Mumbai Indians will be high on confidence after their nerve-wracking victory against the Gujarat Lions on super over yesterday and a win against Royal Challengers Bangalore tomorrow will definitely help them qualify for the playoffs with 4 more matches left. They have played some sensational cricket off late and it was fast bowler Jasprit Bumrah who saved them from the blushes after the match ended in a tie. He bowled a sensational super over and despite conceding a wide and a no-ball he ended up giving only 6 runs which weren’t enough to win the match for Gujarat Lions. After cruising towards the target at one stage, Mumbai lost the plot after the dismissal of Parthiv Patel and it as the innings from the blade of Krunal Pandya which enabled them to tie the match. The bowling department will be bolstered by the impressive return of Lasith Malinga who looked in a good rhythm yesterday and will look to replicate some of that tomorrow. Left-arm tweaker Krunal Pandya was simply exceptional and bowled in the perfect areas. He eventually finished with exceptional figures of 3/14 in 4 overs which helped MI restrict them to a manageable score. On the other hand, nothing has gone RCB’s way. They have kept on losing matches after matches and are now virtually out of the contention race for the playoffs. They will be playing for pride which might bring the best out of them. Their star-studded batting line-up has failed miserably in the last 3 matches and was shot out for the lowest ever IPL score against KKR very recently. Despite making changes in each and every matches, they have failed to build a winning momentum and have been miserable in the tournament so far. Chris Gayle has fired in just a solitary match while AB de Villiers is not finding the form. Kohli has been playing well but given his team’s horrendous run his personal performance has failed to change their fortunes. So with nearly 24 hours to go for the 38th match to commence here we have a look at the match predictions for the first match of Monday’s doubleheader. 2nd innings Prediction: MI will win by 45-50 runs. Mumbai have a clear edge on the head to head department and have won 12 out of the 20 matches played between the two sides. 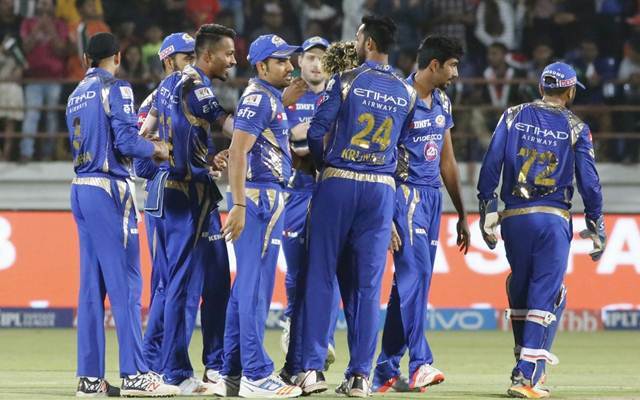 In their previous encounter earlier in the season, MI won the match by 4 wickets after being reduced to 7/4. Samuel Badree bagged a hat-trick but Pollard played a sensational innings which helped MI claw their way back and clinch the nail-biting thriller. They are unlikely to tinker with their combination after winning the super over clash against Gujarat Lions. Lasith Malinga who made a return in Mitchell Johnson’s place in the previous match is expected to retain his place after bagging a couple of wickets. He looked in good rhythm and finished with figures of 2/33 in 4 overs. RCB have a lot to think about and they can spring in a few changes for tomorrow’s dead rubber against Mumbai. With Chris Gayle in their ranks, he must be given a longer run given his reputation in the shortest format of the game. Mumbai is the outright favourites to win tomorrow’s clash but RCB might spring in a surprise as they have nothing to lose. Do let us know your predictions in the comments section below. Note: This is just a random call taken by the author.